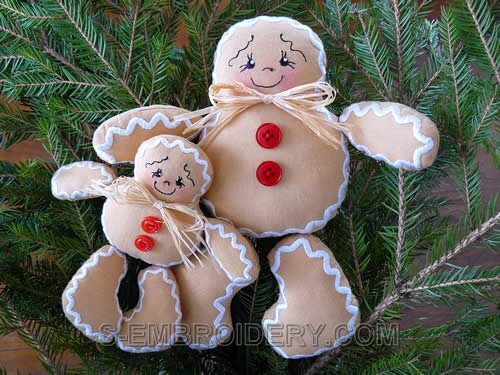 The set includes 3 machine embroidery designs for creating a Ginger Boy soft toy. Available in 2 sizes - 9x9 and 6x6 inches (the ready toys). Both sizes are included. The set includes 6 machine embroidery files and illustrated step-by-step instructions in PDF format. 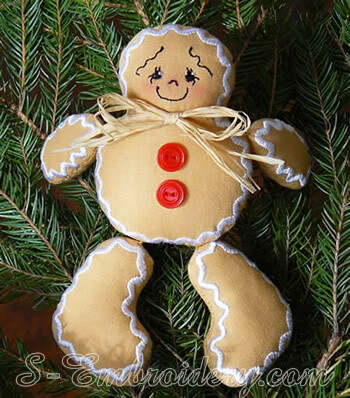 Note: For creating the Ginger Boy soft toys you will need additional materials (fabric, buttons, artificial straw, polyester filling).